There are no clocks in gambling casinos. It increases the sense of freedom, a disconnect from reality and thus, increases the dollars spent gambling. 1) There are no windows, so people don't know if it's day or night outside. 2) They design casinos to be like mazes so you can't find your way out. 3) They give free alcohol to the gamblers so they continue to gamble. And Bee Line shuttle will take you there. The maximum bet in Colorado is $100. Before 2008 the maximum bet was only $5. Colorado had indian casinos and gaming before it passed the initial limited stakes gambling bill in 1991 which got the whole ball rolling. How many casinos are there in Colorado? Currently there are 40 casinos in the state of Colorado including - here is the breakdown: 2 tribal casinos, 7 casinos in Central City, in 17 casinos in Black Hawk, and 14 casinos in Cripple Creek. Colorado also has pari-mutuel facilities. A Colorado state gambling bill passed in 1991 that permits casinos to operate legally in threee historic gold mining towns: Black Hawk,Central City and Cripple Creek. The idea was to preserve the historic districts and save the towns from becoming "ghost towns." This went alright for a few years with mom-n-pop casinos showing up in the three towns. Eventually bigger casinos moved in - often skirting the historic preservations guidelines. Now, most old timers wouldn't even recognize the towns. If you are curious about the history of gold mining in Black Hawk, Central City and Cripple Creek you might be interested in these history articles here Gilpin County History (Black Hawk and Central City), Teller County History (Cripple Creek) which document the towns historic mining roots to present date. Did you know more gold came out of Colorado than Calfiornia? 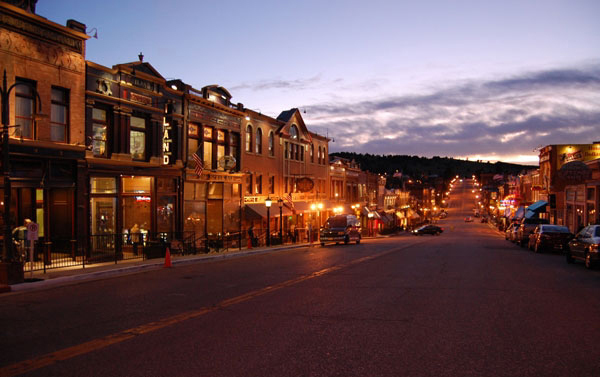 Black Hawk, Colorado is the largest and most flashy of all the towns. It's historic downtown is intact but the big casinos have all but ignored the historic guidelines it seems. 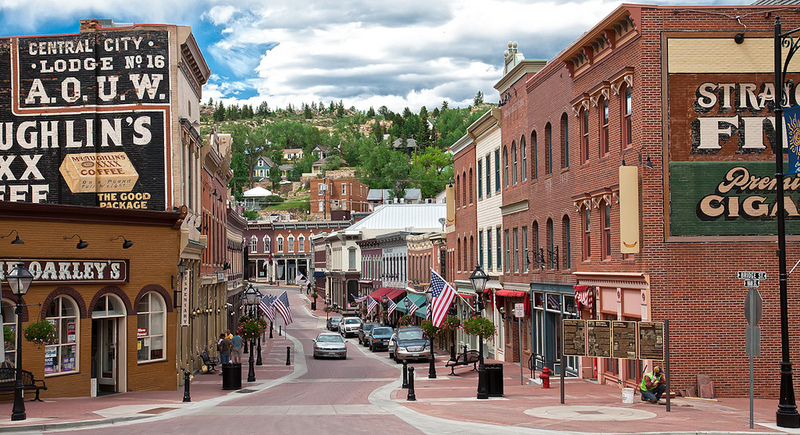 Black Hawk, Colorado is the largest and most flashy of all the towns. It's historic downtown is intact but the big casinos have all but ignored the historic guidelines it seems. Naturally if you had to compare one of the three Colorado gaming towns to Vegas, Black Hawk would be it. (but all Colorado gambling is different than Vegas). 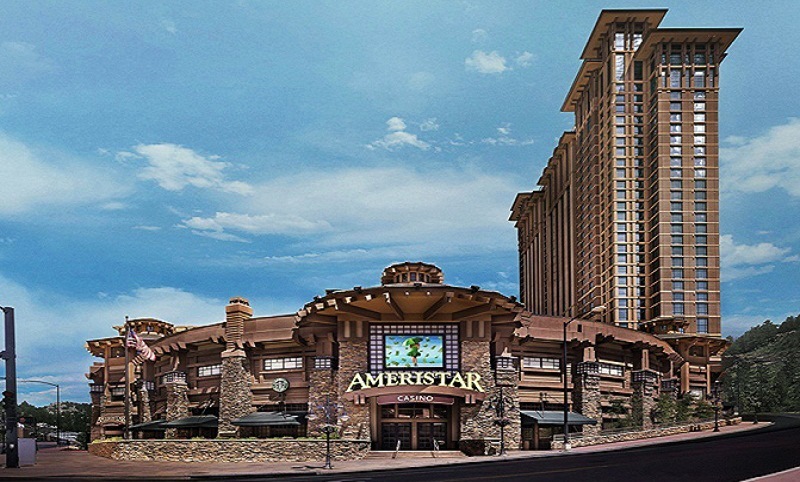 Black Hawk's largest casino is Ameristar Hotel & Casino, but these casinos are next in line: the Isle of Capri, Lady Luck, The Lodge Casino & Resort, Mardi Gras and the Riviera. Most of the other Blackhawk casinos more or less are housed in their original historic mining buildings left over from the gold rush or have at least kept the old west feel to their buildings. If you drive less than one mile up the road to Central City, Colorado you'll find a great little hide-away. Central City has all the amenities of Black Hawk but no crowds. If you drive less than one mile up the road to Central City, Colorado you'll find a great little hide-away. Central City has all the amenities of Black Hawk but no crowds. Plus Central City really is a cool place to be. Home to the Central City Opera, the Teller House and other historic places Central City is a family pleaser (over 21).... In recent years Central City has experienced a resurgence of growth with the opening of the Central City Parkway - a road that makes it easier than ever to get into the gambling towns -- and most importantly for Central City - making it the first town you come to. Central City has also seen the opening of Century Casino since then (with a brand new hotel) and even more recently another casino, Johnny Z's. Please make sure to visit Cripple Creek, Colorado, which is expanding quickly too. Cripple Creek has seen many new casinos open over the last few years. Please make sure to visit Cripple Creek, Colorado, which is expanding quickly too. Cripple Creek has seen many new casinos open over the last few years. The latest casino to open here is Wildwood Casino. Cripple Creek is more accessable from Colorado Springs and Pueblo than Black Hawk or Central City. Online we have the birth of the Colorado Gambling Forum which finally bridges (or hopes too) the communication gap between patrons and casinos. Make sure you visit the gambling forum and signup to enter monthly prizesplay free casino games and more. Free gift with signup at Colorado Gambling Forum. Enjoy your visit to these land based casino. Casinos are a psychological minefield. Their architectural design, as well as everything in it, has a methodical function devised to keep you, the player, inside spending your money. Some tactics they use are as conspicuous as the nose on your face, while others are guile and subtle. However, they all play on the players’ psyche and make them feel comfortable, wanted, and most of all, optimistic. Following are ten maneuvers casinos use that keep them rolling in our money. It’s surprising that a lot of people really don’t wear watches. Casinos know this and aren’t about to assist people in keeping them punctual. It’s a fact that when someone is engaged in an activity time seemingly drifts by at a faster pace for them, and you will rarely see humans more engaged than in a casino. Whether it be at a slot machine, table game, or poker table, most are in a trance-like state while chasing their dreams. With no clocks adorning casino walls it is not difficult to simply let time slip away deep into the night without a care in the world. Don’t expect to get the time from dealers either since they are told not to wear watches for this very reason. Day melds into night and night into day and schedules dissolve into nothingness. Add that to the fact that if you’re in a casino you are most likely on vacation, and that contributes to the indifferent attitude you may have about sticking to your standard routine and spend more time than you had planned repeatedly slapping dollar bills down. Some casinos, likes those in the UK, have passed laws saying that players must be aware of how much time they have spent gambling, and the casino must encourage taking breaks from playing. In most casinos there may be windows near the entrance or exit, but once you get inside the belly of the beast you will be hard up to see any. 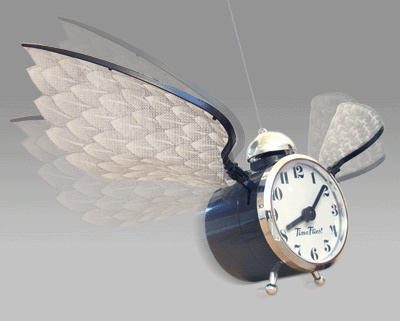 This tactic goes hand-in-hand with having no clocks. When they get you in, they don’t want you to have any inkling of what is occurring in the outside world. If you were to see it getting dark outside, or even getting light with the dawn, your internal clock would kick in and tell you it’s time to move on and do something else, like go to sleep. However, this will tear you away from gambling and the casino can’t have that. In addition, they don’t want you to see anything remotely interesting happening outside. If you’re playing in a casino on the Las Vegas strip, there is enough visual stimulation outside to draw anyone’s eye to it. Therefore, the casino you are in will do its best to make that outside world nonexistent. A casino is a cacophony of wonderful and alluring stimulation: bells ringing, siren-like lights flashing, change clanging, slot wheels whirring, digital sounds beeping – it’s all captivating. Why is it captivating? Because it’s non-verbal communication saying, “Win! Win! Win!”. It gives the impression that everyone is indeed winning when, in reality, most are losing. However, even as these people are losing, whatever machine they are on is still blaring out festive, euphoric sounds. It makes people want to get in on the action and become part of the winning as well. It’s such a happy place, how can I lose?! Everything is slick, burnished, and gleaming with a hypnotic draw to it. On some level, everyone, regardless if they are a big or small bettor, is attracted to these ostentatious displays of excess and flamboyance. Ever notice how the lighting in a casino is low and mellow? This is to give it a homey, friendly feel, kind of like sitting on your couch in your living room at home – and who wants to get off of their comfortable couch? Harsh lighting can be grating to the eyes, but a more subdued motif allows gamblers to settle in, kick back, and enjoy themselves while feeling safe, secure, and cozy. Also, the carpeting in casinos isn’t just picked out randomly. Many may say that the patterns and designs on these carpets are downright tacky, with colorful swirls, lines, and splashes being the norm. However, to the human brain they are mesmerizing, welcoming and pleasing to the eye. In addition, the color of the walls is often times red which studies say evokes a safe, comfortable feeling. And like shopping malls and stores, the soundtracks played at casinos are always soft, easing, and mollifying which helps get the gambler in the trance-like state that is desired. Related to this category is the cleanliness of casinos. Any reputable one will be spotless with no clutter or waste in sight. Workers continually sweep and pick up after players which makes them feel somewhat pampered and catered to, as well as gives them a pleasing environment in which they want to stay. If you want to use the restroom, get something to eat, or cash out your chips, you must burrow yourself deeper into the bowels of the casino. Often, these services are wedged as far back as possible. This is a last-ditch effort to keep you inside since you have to walk through the whole place again and pass all of those tempting machines and tables. You have just cashed in your winnings and perhaps you may want to try your luck one last time before leaving. It’s the same principle stores use in hopes of getting a customer to make that last impulse buy during that long walk to the exit. In larger casino/hotels, the casino is buried deep inside the building itself. Taking various escalators, stairs, etc. is the only way to get to and from it and is one way to keep you on the property. Next to actually winning, nothing gets your adrenaline pumping like nearly winning and the realization that you almost took money from the casino. But if casinos gave out money to everyone who almost won, they would be broke after one day. Every game, whether it be a table or machine, is designed to payout small wins in the short run, but eventually take more from you in the long run. Slot machines constantly make small payouts while perpetually being one cherry or star away from the big jackpot. Players always win hands at blackjack which gives them the impression that the game is winnable, but the house edge is always grinding away at their bankroll and their money slowly dissipates. 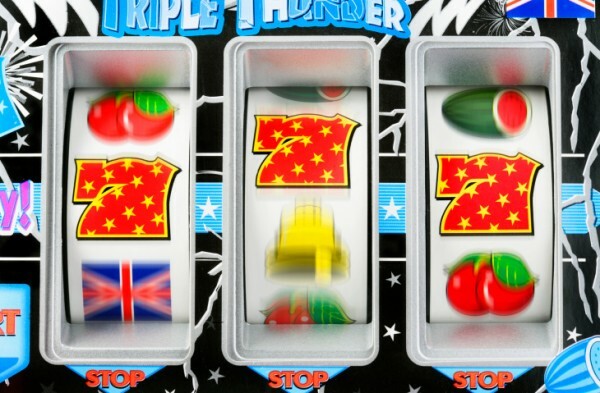 Other games give the gambler a feeling of “control” such as craps or keno. Here, the player has a direct influence on the outcome, such as throwing the dice or picking their own numbers. This is yet another ploy that gives the player a false sense that they can beat a game and therefore will cause them to play longer. Basically, players overestimate their chances and probability of winning. Near wins are what essentially keep casinos in business. Giving players a taste of winning will almost always guarantee that they visit again. Free or reduced services, otherwise known as comps, are another lifeblood of the casino. Players will often receive coupons for free meals, buffets, shows, etc., or point cards which enable them to win other prizes in order to get them to keep coming back. It makes them feel important, even if they are low rollers and don’t gamble substantial sums of money. Even if they lose, they still feel as if they have gained something and are more likely to return. They are important to the casinos because the vast majority of money made comes from these smaller gamblers, so their business is even more coveted than the high rollers’. Are they simply being good hosts to their patrons? Not really. It’s all calculated to keep them there so they play more and longer. Whatever casinos give out in comps, they make back hundreds-fold from the same people. It’s sort of like persuading a child to behave well in exchange for a cheap toy. This could have gone under the freebies category but deserves to be discussed independently. It’s as obvious and transparent a trick as freebies but may be the most powerful. Free drinks work on a couple of levels. First, they’re FREE. Unless you’re a teetotaler, who doesn’t love free drinks? Cocktail waitresses swarm the casino floor, their trays full of various drinks at all times. It’s no secret why this would keep a player put, satisfied, and feeling cheerful. Next, alcohol makes even smart players sloppy. If you’re a player who uses basic strategy in blackjack, alcohol will slow your brain therefore corrupting your ability to make the proper decisions. Gamblers will also become more liberal with their money if buzzed or drunk, throwing their chips around like they’re nothing more than the pieces of clay that they are. To many, sucking down free drinks while playing enjoyable games is pretty much as good as it gets. Although small bettors are important, casinos surely want to keep the high rollers as well. Those fortunate enough to win big are treated like kings. They basically make these players offers they cannot refuse, from free suites to extravagant, special treatment. The longer a big winner lingers inside the casino/hotel, the more money they will inevitably spend there. The casino may lose money giving away a free suite or room, but by keeping that person there they can make it back in the casino; the house edge ensures that. Players feel like they are treated like royalty because they are important, yet it’s their MONEY that is important. In addition to keeping the money there, casinos are also gaining free advertising and marketing when other high rollers learn how they will be treated at that particular establishment. Pandering to big winners is so crucial for casinos that a large part of their resources, from VIP hosts to limousines, is dedicated to it. Casinos are essentially giant mazes that are intentionally set up for you to literally get lost in. A sea of machines and tables create obstacles and barriers that keep the player from leaving. There is no logical arrangement; a bank of slot machines may be in one location, then another bank of the exact same machines will be 200 feet away. Confusion is the end result. You know the exit was near the video poker machines, but which set of video poker machines? Nooks and crannies abound with various twists and turns. This plays on the common mental error people make when they mistakenly believe that if they walk in along a certain path, they can easily turn around and walk out the same way. However, the path leading out is unfamiliar because visually it is completely different. The tall slot machines which make up most of the floor layout also hinder people from seeing far which further disorients them. 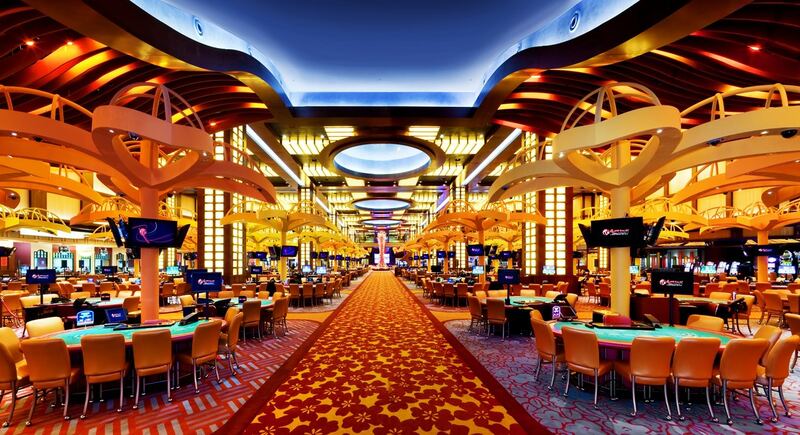 Moreover, more modern casinos have lower ceilings which prevent someone from seeing any landmarks on the walls or ceiling in the distance that may help orient them, but instead keep them hemmed in. For many, especially those who have been imbibing alcohol, finding their way out is like participating in one, large, interactive brain teaser.